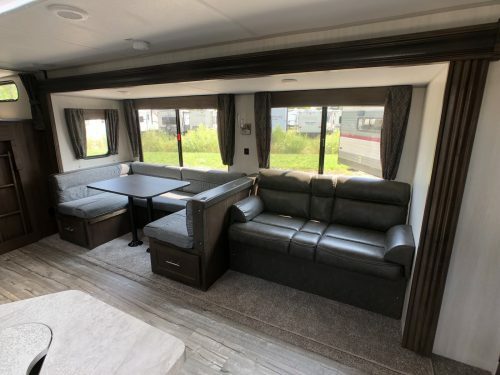 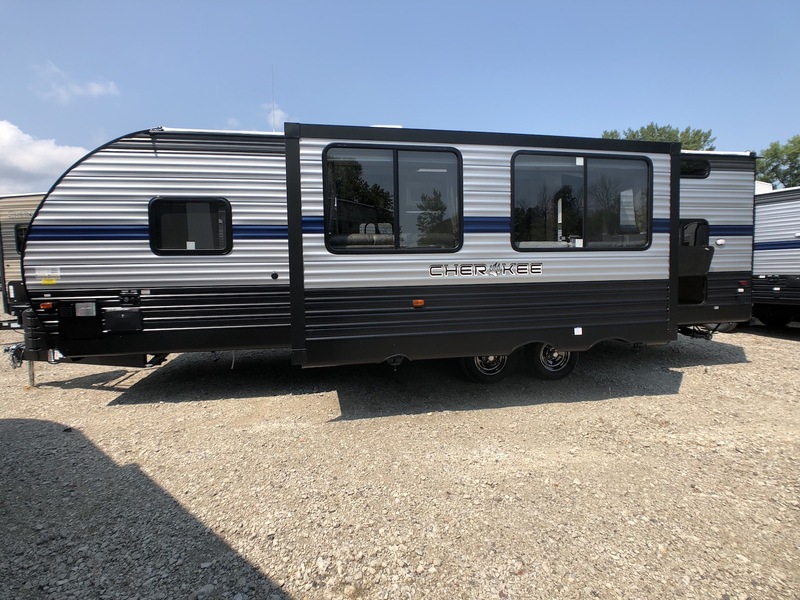 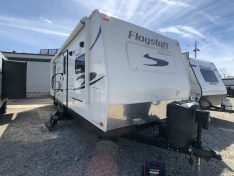 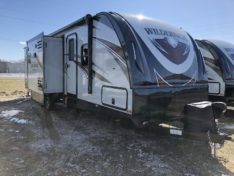 The Forest River Cherokee 274DBH Bunk House Travel Trailer has one slide out, a queen walk around bed, and sleeping for up to 10. 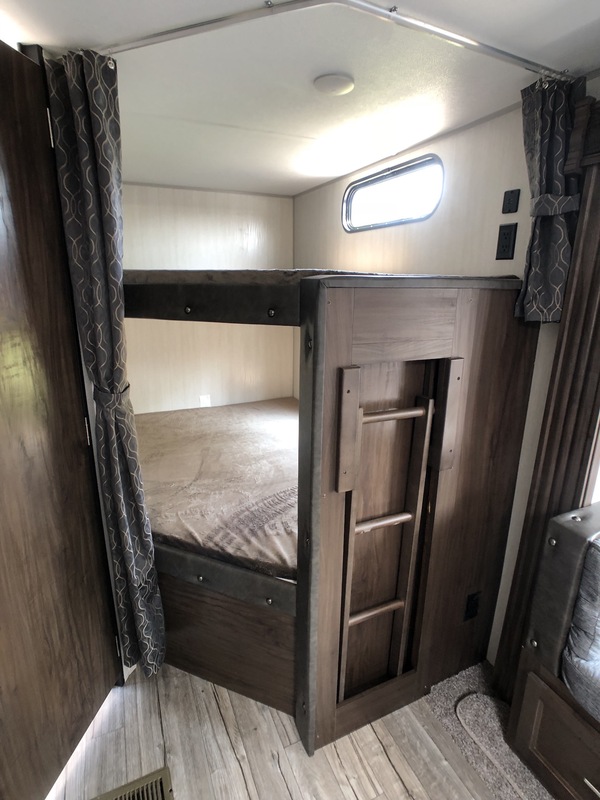 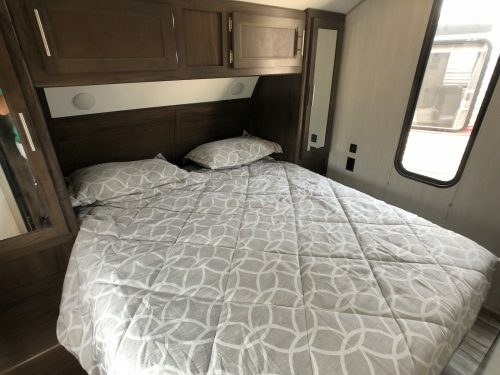 The 274DBH has two double bunk beds located in the rear. 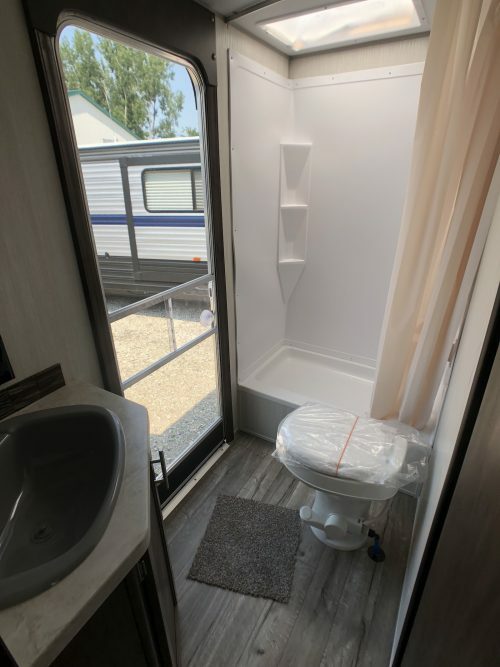 The bathroom is also found in the back and has a tub/shower combination, toilet, sink, and entrance to the outside. The slide out is located in the central living area along with the kitchen, sofa, u-shaped dinette, and entertainment center. 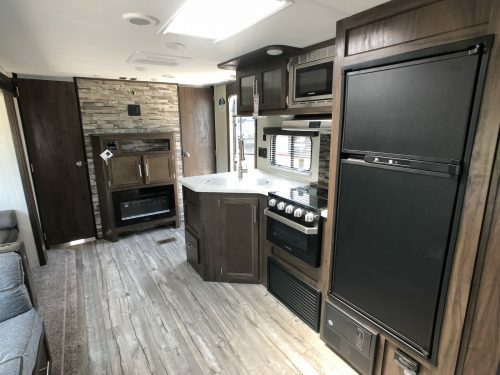 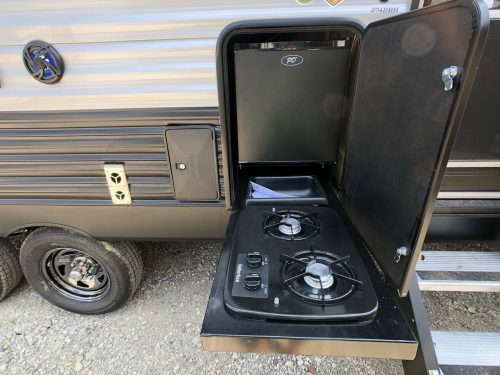 The kitchen on the Cherokee 274DBH comes fully equipped with a large pantry, two way RV refrigerator, three burners cooktop/oven, and sink. The master bedroom has a queen walk around bed, under bed storage, and closets on both sides of the bed. 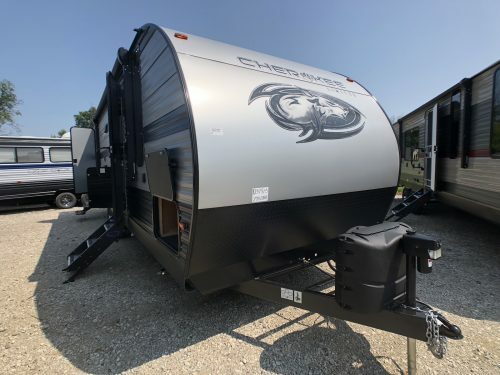 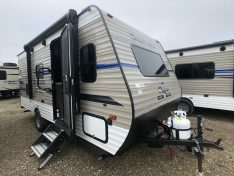 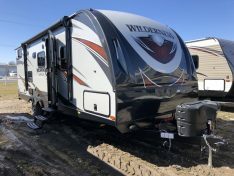 This Cherokee 274DBH has also been upgraded with the “Limited Package” this includes such options as power tongue jack, power awning, rear fold down travel rack just to name a few.